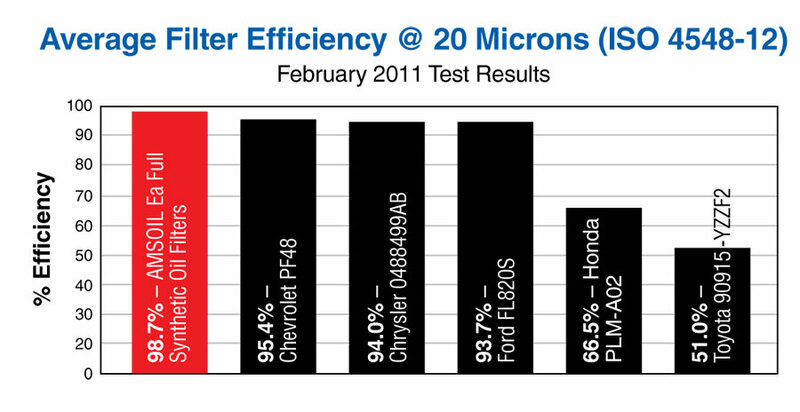 AMSOIL Ea Oil Filters have significantly lower restriction than conventional cellulose media filters. Their small synthetic nanofibers trap smaller particles and hold more contaminants, resulting in lower restriction. During cold temperature warm-up periods, an EaO lube filter allows the oil to easily flow through the filter compared to a typical cellulose filter. Lower restriction decreases engine wear. A filter's capacity refers to the amount of contaminants it can hold and still remain effective. 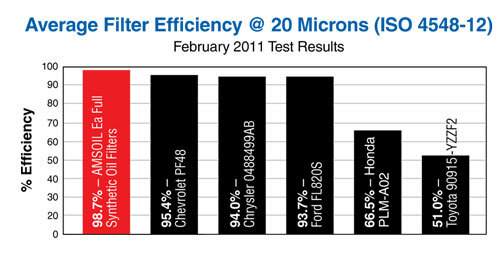 AMSOIL Ea Oil Filters have a greater capacity for small, wear-causing contaminants than competing filter lines do. In fact, when used in conjunction with AMSOIL synthetic motor oils, AMSOIL Ea15K Filters are guaranteed for up to 15,000 miles/one year, whichever comes first, and EaO Filters are guaranteed for up to 25,000 miles/one year, whichever comes first, depending on application and severity of service. Over the service life of a conventional cellulose filter, hot oil will degrade the resins that bind the media. The Ea Oil Filters full synthetic media technology is resin-free. It uses a wire screen backing that is pleated with the media for superior strength. 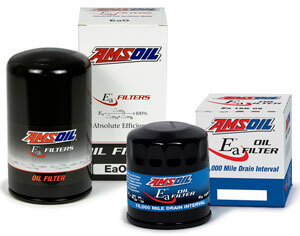 AMSOIL Ea Oil Filters provide superior oil filtration for vehicles in the auto/light truck market. 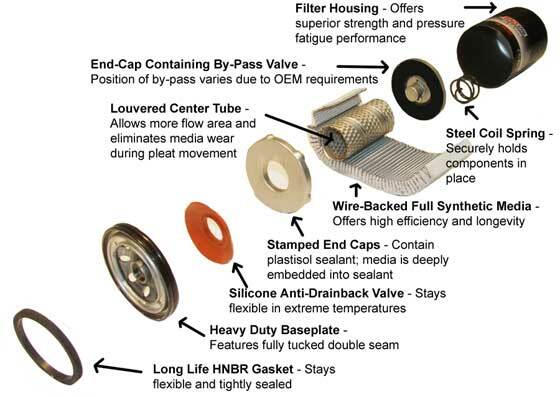 Consult the AMSOIL Online Application Guide to determine the appropriate filter for each application. When AMSOIL Ea Oil Filters are used with a motor oil other than an AMSOIL extended drain motor oil the filter should be changed according to the vehicle manufacturer recommendation.